Such substances that donate their hydrogen ion (H+) (proton donor) and accepts the electron to another is called an acid. They have pH less than 7.0. But such substances that accept the proton and donate electron is called as the base. They have pH more than 7.0. Acids are sour, while bases are bitter. Acids and Bases are one of the most important parts of chemistry, but also play their significant role in another field of science. There are many definitions which differentiate the substances as acid and base, but the most accepted are the Arrhenius theory, Bronsted-Lowry theory and the Lewis theory of acid/base. Together acids and bases react to form salts. Acids and Bases are everywhere, right from the soaps used during the shower to the citric acid or vinegar present in the kitchen. Though it is sometimes difficult to distinguish between them and so to check them, certain theories were provided which are discussed below along with brief description. Arrhenius Concept Acid is the substance when dissolved in water, increases the concentration of H+ ions. The base is the substance when dissolved in water, increase the concentration of OH- ions. Bronsted-Lowry Concept Acids are the proton donor. Bases are the proton acceptor. Lewis Concept Such species that accepts the pair of electrons (an electrophile) and will have vacant orbitals are known as Lewis acid. Such species that donates the pair of the electron (a nucleophile) and will have a lone pair of electrons are known as Lewis base. acid). Although CH3COOH (Acetic acid) is an exception. Such compounds whose chemical formula ends with OH, for example KOH (Potassium hydroxide), NaOH (Sodium hydroxide). pH scale (concentration of hydrogen ions in a solution) Less than 7. Greater than 7. Physical Characteristics Sour in taste. Bitter in taste. Gives burning sensation. Odorless (except ammonia). Acids are usually sticky. Bases are slippery. Reacts with metals to produce hydrogen gas. Reacts with fats and oils. Phenolphthalein Indicator It remains colorless. It gives pink color. Litmus test Turns blue litmus paper to red. Turns red litmus paper to blue. Strength Depends on the concentration of hydronium ions. Depends on the concentration of hydroxide ions. Dissociation when mixed with water Acids dissociate to give free hydrogen ions (H+) after mixing in water. Bases dissociate to give free hydroxide ions (OH-) after mixing in water. Examples Hydrochloric acid (HCl), Sulphuric acid (H2SO4), Nitric acid (HNO3), Carbonic acid (H2CO3). Ammonium hydroxide (NH4OH), Calcium hydroxide (Ca(OH)2), Sodium hydroxide (NaOH). Uses Used as preservatives, fertilizers, as preservatives, used as carbonated drinks, processing leather, household cleaning, making sodas, flavor to food, etc. Used in gastric medicine (antacid), soaps, detergents, cleanser, antiperspirant armpit deodorant, non-hazardous alkali to neutralise acidic wastewater, neutralise soil acidity. The word acid derived from the latin word ‘acids’ or ‘acere’, which means “sour”. An acid is the chemical substances that accept electrons and donates hydrogen ions or protons. Most acids containing hydrogen bonded atoms dissociate to give cation and anion in water. Acidity is measured by the presence of some hydrogen ions, so higher the hydrogen ions concentration, the higher is the acidity and the lower the pH of the solutions. It is measured in scale between 1-7 (7 is neutral ) in pH meter scale. Some acids are strong, and some are weak. Strong acids are those which completely dissociate in water, for example, hydrochloric acid, which completely dissociates into ions when dissolved in water. Such acids which partly dissociates in water and hence the solution contains water, acid, and ions are called weak acids, for example, acetic acid. Mainly acids are defined in many ways, but Arrhenius or Bronsted-Lowry acid is acceptable. Although Lewis acid is called as “Lewis acid”, as these definitions do not include the same set of molecules. Arrhenius Concept – It can be defined as the substance when added to water, increases the concentration of hydrogen ion (H+) is called an acid. Bronsted-Lowry Concept – In this, the acid is said to be as the proton donor. This theory defines the substances, without dissolving in water and so it is widely used and accepted. Lewis acid – There are certain compounds which do not contain hydrogen atom, but qualify as acid like boron trifluoride, aluminum trichloride. So such compound which accepts the electron pair to form a covalent bond is called as Lewis acid. Has pH less than 7. Turns blue litmus paper into red color. Reacts with metals to produce hydrogen gas. Reacts with bases to produce salt and water. Reacts with carbonates to form carbon dioxide, water, and salt. Dissociate the hydrogen ions (H+) when dissolved in water. Biologically nucleic acids such as DNA (Deoxy ribonucleic acids) and RNA (Ribonucleic acids) contain the genetic information and other are heredity material which is transferred from one generation to another. Even the amino acids are of great of great importance as they help in making proteins. Fatty acids and its derivatives are the groups of carboxylic acids also play a significant role. 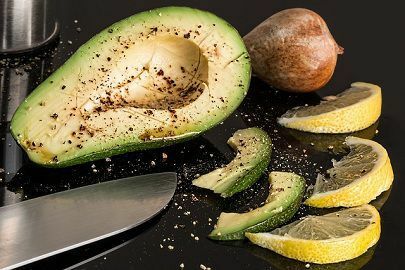 Even the hydrochloric acids, which is the part of gastric acid secreted in a stomach of animals helps in hydrolyzing proteins and polysaccharides. Acids are also helpful by acting in defense mechanism like in ants which produce formic acid, while octopi produce a black acid called as melanin. Other acids like lactic acid, vinegar, sulfuric acid, citric acid are found in nature are known for their different and important uses. Bases donate electrons and accept hydrogen ions or protons. 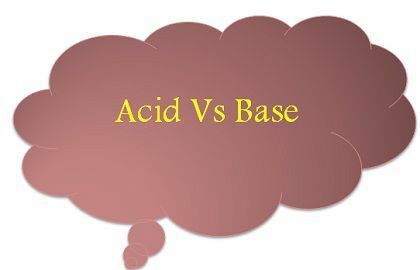 Bases can be said as the chemical just opposite to that of acid, as in water the role of the base is to reduce the concentration of hydronium (H3O+) ion while acid act in increasing the concentration. Although it is seen that some strong acids serve as bases also. Bases are measured between the 7-14 range in pH meter scale. However, there is a lot of confusion between bases and alkalis. Many bases do not dissolve in water, but if a base dissolves in water, it is called an alkali. When in an aqueous solution a base reacts with an acid and the solution becomes neutral, it is called neutralization reaction. For example, Sodium hydroxide is a base as well as an alkali, as it neutralizes the acids in any acid-base reaction; secondly, it is soluble in water. On the other hand, the Copper oxide is a base but not an alkali as it neutralizes the acid in aqueous solution but does not dissolve in water. A strong base is a chemical compound that gets deprotonated or removes a proton (H+) from a molecule of a very weak acid in an acid-base reaction. Hydroxides of alkali metals and alkaline earth metals like Sodium hydroxide and Calcium hydroxide respectively are the examples of the strong base. The weak base is the substance that does not ionize completely in an aqueous solution, or their protonation is incomplete. Arrhenius Concept – The substance which produces hydroxide ions (OH–) in an aqueous solution is called as the base. For example, sodium hydroxide (NaOH) dissociates in water and gives Na+and OH– ions. Such substances like LiOH, Ba(OH)2, NaOH can be said as Arrhenius base. But this theory was limited to the substances which contain hydroxide in their formula and was applicable in the aqueous solutions only. Due to this another concept called as Bronsted-Lowry theory came into existence. Bronsted-Lowry Concept – According to this theory, a substance that can accept hydrogen ions (H+) or protons is known as the base. Lewis Base – One of the most widely accepted concept, after the Bronsted-Lowry concept of acids and bases. An atom, molecule or an ion with a lone-pair of electrons can be said as Lewis base as these bases are Nucleophilic. It means with the help of lone pair they attack the positive charge of the molecule. NH3 is a Lewis base. In other words, we can say that substance like OH– ion, that can donate a couple of nonbonding electrons are said as Lewis base or electron-pair donor. Has pH more than 7. Turns red litmus paper into blue color. Soapy feel or slippery to touch. Reacts with acids to produce salt and water. Many soluble bases contain hydroxyl ions (OH–). Bases (Sodium hydroxide) are used in manufacturing paper, soap, and the fiber called rayon. Calcium hydroxide is used as bleaching powder. Magnesium hydroxide used as ‘antacid’ which is used at the time of indigestion and to reduce the effect of access to stomach produced. Bases like Sodium carbonate is used as washing soda and for softening the hard water. Sodium hydrogen is also used in preparations of baking powders, as baking soda, and also in the fire extinguisher. Amphoteric substances are those which have the characteristics of an acid and a base; even they are capable of accepting and donating a proton, like water. According to Arrhenius concept: Acid is the substance when dissolved in water, increases the concentration of H+ions, whereas the base is the substance when dissolved in water, increase the concentration of OH– ions. On the other hand, Bronsted-Lowry concept says that acids are the proton donor, while the base is the proton acceptor. Lewis theory explains them as such species that accepts the pair of electrons (an electrophile) and will have vacant orbitals are known as Lewis acid while such species that donates the pair of an electron (a nucleophile) and will have a lone pair of electrons are known as Lewis base. hydroxide), NaOH (Sodium hydroxide) is known as the base. pH scale (concentration of hydrogen ions in a solution) is less than seven whereas it is greater than 7 in the base. Acids are sour, gives burning sensation, generally sticky, reacts with metals to produce hydrogen gas. Although bases are opposite as they are bitter, generally odorless (except ammonia), they are slippery; bases react with fats and oils. In phenolphthalein, indicator acids remain colorless, and base gives pink color. Though in litmus paper test acids turn blue litmus paper to red and red litmus paper to blue. The strength of acids depends on the concentration of hydronium ions while the strength depends on the concentration of hydroxide ions. Acids dissociate to give free hydrogen ions (H+) when mixed in water, whereas bases dissociate to give free hydroxide ions (OH–) when mixed in water. Few examples of acids are Hydrochloric acid (HCl), Sulphuric acid (H2SO4), Nitric acid (HNO3), Carbonic acid (H2CO3). The examples of bases are Ammonium hydroxide (NH4OH), Calcium hydroxide (Ca(OH)2), Sodium hydroxide (NaOH). It is worthwhile to have a brief understanding of some of the basic physical and chemical principles that are directly or indirectly connected to life. Acids and base are some of them. In the above content, we discussed them along with their properties. We discuss the three important theories with some examples also. We conclude that these are the important part of life and we often use them, not only in chemistry laboratory but also in day to day work.